JCCLLC may collect the following information, among others, from visitors to this website: (1) information contained in web server logs (including but not necessarily limited to IP addresses, referrers, information about web browsers, information about HTTP requests, etc. ); and (2) information affirmatively provided by users via submission forms or e-mail addresses. JCCLLC may use the information it collects to, among other things, fulfill requests for JCCLLC’s properties and services, respond to inquiries about JCCLLC’s offerings and offer other information that JCCLLC believes may be of interest. JCCLLC may share information it collects about and from visitors to this website with, among others, affiliates and subsidiaries of JCCLLC. 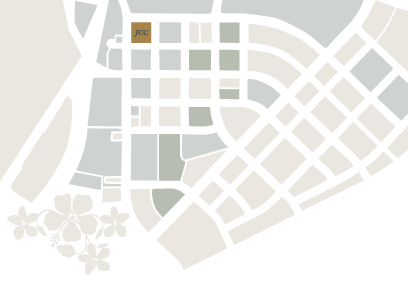 JCCLLC may use the information it collects to improve the design and content of its websites and to enable JCCLLC to personalize its visitors’ Internet experience. JCCLLC also may use this information in the aggregate to analyze site usage. JCCLLC may disclose personally identifiable information in response to legal process, for example, in response to a court order or a subpoena. JCCLLC also may disclose such information in response to a law enforcement agency’s request. This website is not directed to children under 13 years of age, and children under 13 years of age shall not use this website or services offered by JCCLLC to submit any personally identifiable information about themselves.